How Much Does a Best Knee Scooter Cost? As you search for different options, you must weigh the pros and cons of each solution. Crutches, while the most common choice for staying off your foot while healing, can also cause pain in other areas of the body. 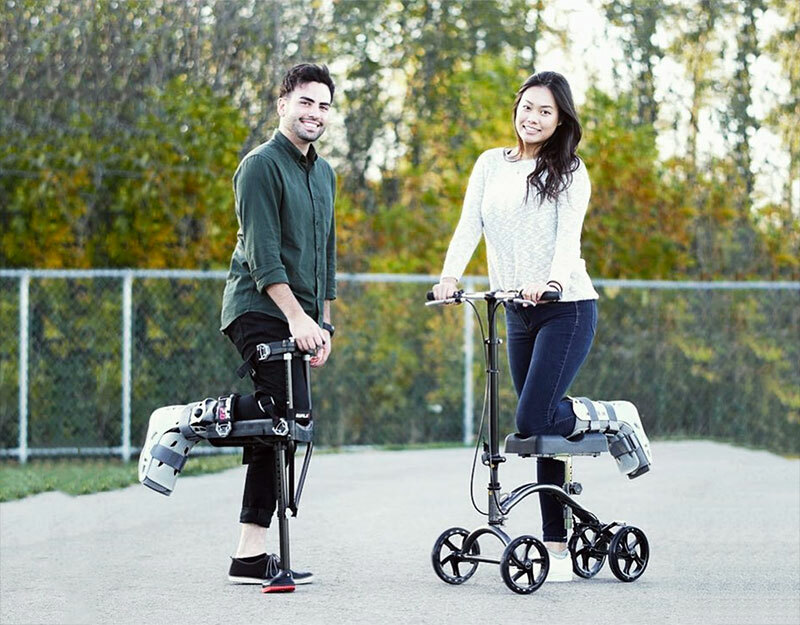 Knee scooters are a more costly option, but they do allow for safer healing. If you do choose the knee scooter, don’t sacrifice safety for savings. While you might find one for as little as $100, a good quality unit will cost $200 or more. What do the more expensive scooters have that cheap one don’t? Here’s a brief list. The pressure on your knee as you walk can be painful, and that’s why you need a knee scooter with plenty of padding. The cheaper units only have one thin piece of padding. While you can always add more foam or even a pillow, these additions won’t be stable and can cause accidents. 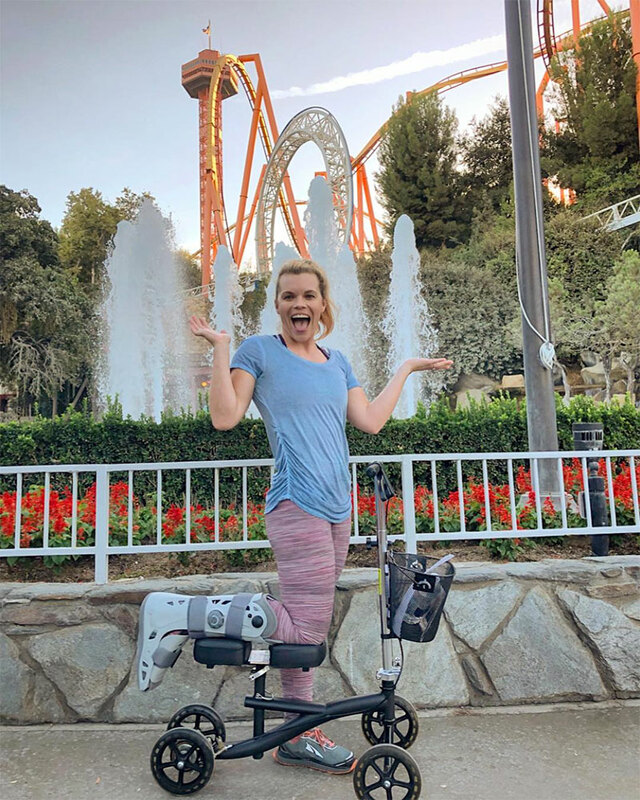 A quality knee walker will feature two thick, adjustable pads that are firmly attached to the knee scooter. These can be moved to accommodate casts, boots, and bandages. The price is well worth the comfort and safety this feature offers. When you purchase one of the cheaper units, one thing sets it apart from quality scooters immediately: These knee scooters can’t be adjusted for left or right-side injuries. Without that adjustment, the knee walkers can be quite unstable, especially when turning corners. In fact, just offsetting the knee platform to accommodate the left or right can increase tipping resistance by 50%. Less expensive units may also have smaller wheels, which make navigating over the carpet, stones, or cracks in the sidewalk a bit harrowing. Make sure the knee scooter you choose has larger wheels—at least 8 inches if you can find them. Ordering a cheaper knee scooter can also get you in trouble when you realize you have to assemble all the parts. Doing so can be difficult if you don’t have all the proper tools, and these companies aren’t renowned for sending excellent instructions, either. Do you really want to assemble your own knee scooter while struggling to keep your weight off your injured foot? Add pain medication on top of everything, and you’ll have a nightmare situation. If you order a quality unit, you may have to pay more, but your knee scooter will come fully assembled, tuned up, and ready to use. You won’t even need to check the brakes before you roll back into your daily life. Maybe it makes sense to you to use something disposable since you (hopefully) will never need a knee scooter again. Before you choose disposable over Durable Medical Equipment, keep in mind that the low-quality items may not even be FDA approved. Not even your private insurance will cover a scooter that’s not FDA approved. In fact, they won’t even qualify as a medical expense when you’re filing your taxes. If you still choose the cheaper models after all the evidence that it’s a bad idea, be prepared for less-than-stellar customer service. The manufacturer’s warranty on many of the cheaper knee scooters only lasts 30 days. If something happens after that, you’ll be out of luck. You can go back to the company that sold you the unit, but be prepared to pay for the repair. A quality, reputable dealer, however, will send you a new unit and take the broken one back, so you’re never left without your freedom and mobility. So, yes, a knee scooter can be expensive, especially if you get the better quality units, but consider all the benefits you’ll receive when you refuse to cut corners. Isn’t the additional cost worth it in the end?